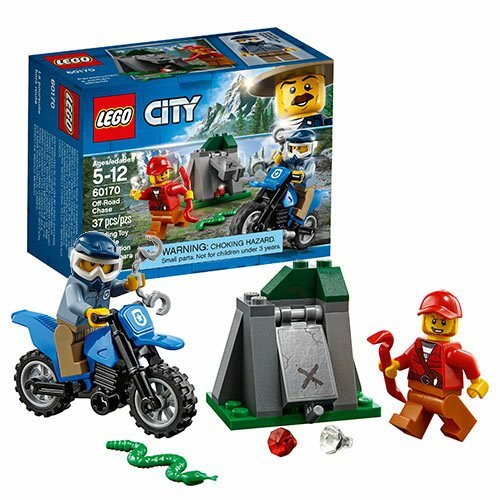 Head out on LEGO City mountain patrol on your motocross bike! Police cruise around the mountainside in search of the crook's loot hideout. Hey, what's happening up ahead? It looks like someone's searching for something. If that crook isn't careful, that snake is going to give him a big surprise. HALT, in the name of the LAW! The LEGO City 60170 Off-Road Chase includes 37 pieces. Ages 5 to 12.